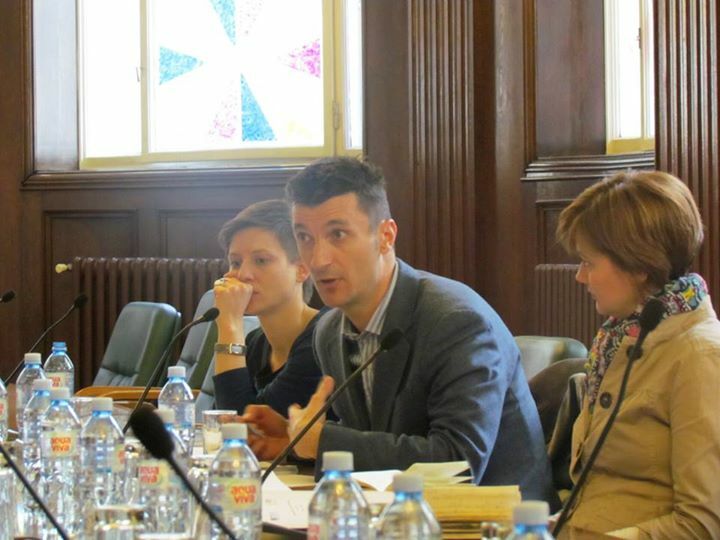 The constitution session of the Working Group (WG) energy was held on Friday, 3 April in the National Assembly of the Republic of Serbia. The session was opened by Ms. Nataša Dragojlović, coordinator of the National Convention on the EU while Mr. Alexander Macura, an independent energy expert who will be preparing the program of session, presented the action plan. Keeping in mind the theme of this chapter and the fact that it will have implications on the daily lives of citizens of Serbia Mr. Macura invited present WG members to jointly decide on the key themes for WG to focus on. Issues that will be open during the negotiation process are certainly include issues of state aid in this sector, internal market as well as nuclear energy, but the group has recognized as the two most important issues: energy efficiency and renewable energy sources. Certainly, special attention will be devoted to the fact that this WG has a number of cross-sectoral issues, especially regarding environmental protection issues. The Group has concluded that a focus on local energy will bring the best results taking into account the complexity of the topic, the given timeframe and the available resources. Improvements in energy efficiency are certainly one of the key issues for local governments, as the question of production and distribution of heat in their direct jurisdiction. Serbia is already faced with the problem because the Energy Efficiency Fund, which was established in September 2013 still did not fully come to life, due lack adequate bylaws. The next meeting of the working group on energy efficiency topic is planned for the end of May or beginning of June, and Vrbas municipality will host this session. The group welcomed the possibility of holding joint sessions with other working groups in order to ensure coordination on issues that are important for several groups, so it is planned that theme for a joint session with the working groups for the environment and agriculture and rural development are renewable energy and waste.